Dire predictions about government's inability to function were shot down by last-minute acts of statesmanship on Capitol Hill. Former Sen. Bob Kerrey on the leaders who proved the cynics wrong. Am I dreaming, or did Washington, D.C. just become the place to be if you wanted to actually watch things getting done? It doesn't seem possible, since just a few weeks ago most smart people were predicting just the opposite. The coroner was ready to declare the death of Article One of our Constitution (that's the one that created the legislative branch). Then, just when it seemed all hope was lost, the lame-duck session of the 111th Congress came along, breathing new life into our confidence that our leaders in Washington are up to the challenges facing the country. It really is quite remarkable, following a bitterly contentious midterm election during which pundits opined endlessly about the dysfunctional nature of the nation's capital. It's especially amazing that the Senate performed admirably, because so many of the problems had been blamed on the body's rules and procedures. So, what happened? How did an institution that had spawned such bitter laughter become a source of inspiration? And—more to the point—can we expect more of the same in the future? What happened is that experienced leadership rose to the task. For whatever you think of the leadership in the House and Senate, these are professionals who know how to get things done. They know they must present their arguments clearly, passionately, and persistently. They must debate as if compromise seems impossible and then when the moment is right, they must compromise if they want to be remembered for something more than clever press releases. That's exactly what Republican leader Mitch McConnell and President Obama did to break the stalemate over whose taxes were going to be cut. That compromise, which should help restore some momentum to our weak economic recovery, also helped restore political momentum on Capitol Hill. With that logjam broken, the pros in DC—Senators Reid, McConnell, Kerry, Lugar and others—went to work. The House and the Senate passed the tax bill and sent it on to the president. They extended unemployment benefits, passed a repeal of a law that discriminated against gay men and women who serve in our military, strengthened the FDA's control over food safety, confirmed numerous appointees, ratified a treaty with Russia to reduce strategic nuclear weapons, provided health benefits to the heroic 9/11 first responders, and enacted other measures intended to help the private sector create more jobs. The burden is on us to urge leaders to be as partisan as their hearts dictate they must—but be as practical as their heads tell them they should. So, does this burst of activity warrant optimism for the 112th Congress? That all depends upon our willingness to let our leaders compromise when the moment says they must. There are plenty of reasons to be discouraged. On my list are the failure to find common ground to give the children of people who have come to the United States illegally an earned pathway to citizenship, the failure to reach agreement on an omnibus budget, and the continued unwillingness to face the facts of a warming planet. All these factors—plus the intolerance of the extremes of both of our major political parties have shown toward compromise, the generalized fear that Americans are no longer capable of sustained shared sacrifice, and the flood of tens of millions of dollars in new money into campaigns—are dispiriting truths. A close look at any of these can still drive an optimist to despair. On the other hand, a close look at individual acts can be a cause for optimism. Consider the votes of Senators Coburn, Conrad, and Durbin in support of the recommendations of the Simpson-Bowles Debt Commission. Or the earlier vote of Senator Lindsay Graham in support of the confirmation of Elena Kagan to the Supreme Court. Or the vote Senator Richard Burr of North Carolina cast in support of the repeal of Don't Ask Don't Tell. President Obama said that the lame-duck session of the 111th Congress proves that "we're not doomed to endless gridlock." He will be proven right only if we recognize what our leaders must do to serve the national interest. For the hardest lesson of all from the past six weeks is that we the people must temper our own demands if we expect our leaders to be successful. The burden is on us to urge them to be as partisan as their hearts dictate they must—but be as practical as their heads tell them they should. If we do, we could see more of what we happened in the lame duck: More action and fewer words. 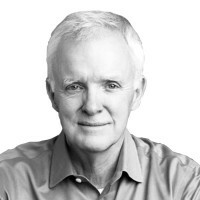 Bob Kerrey served three years in the United States Navy. His career in public service also includes being the governor and U.S. senator from Nebraska during the 1980s and 1990s. In 2002, Kerrey published a widely praised memoir, When I Was A Young Man. He has been president of The New School since 2001.